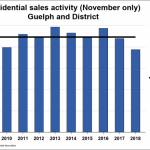 According to statistics provided by the MLS® System of the Guelph and District Association of REALTORS®, home sales numbered 230 units in October 2018. This was a decrease of 16.4% from October 2017. 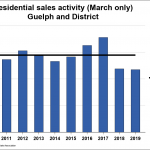 On a year-to-date basis, home sales totaled 2,533 units over the first 10 months of the year. This was a decrease of 13.9% from the same period in 2017. 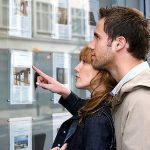 The MLS® Home Price Index (HPI), tracks price trends far more accurately than is possible using average or median price measures. 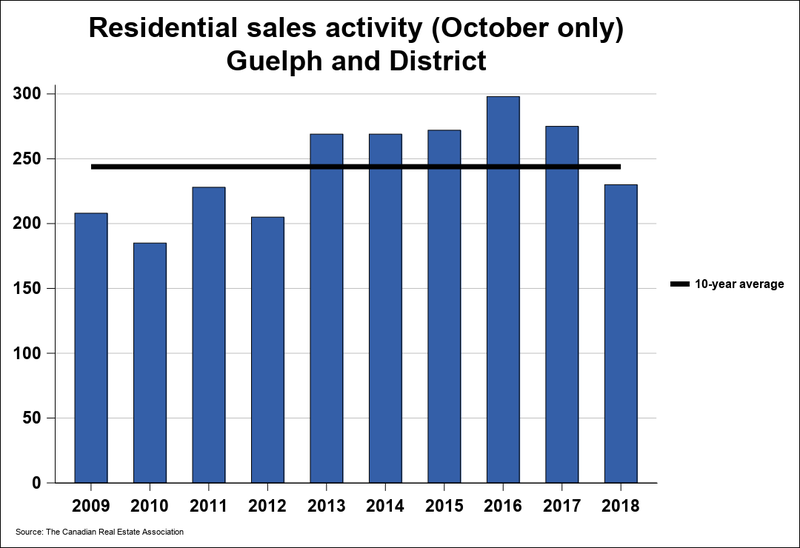 The overall MLS® HPI composite benchmark price for Guelph and District was $526,300, up 9.3% in October 2018 compared to October 2017. This was the largest year-over-year increase since January. The benchmark price for single-family homes was $542,600, up 9.4% on a year-over-year basis in October. By comparison, the benchmark price for townhouse/row units was $377,500, up 7.3% compared to a year earlier while the benchmark apartment price was $330,900, rising 11.8%. The average price of homes sold in October 2018 was $515,327, down 0.3% from October 2017. 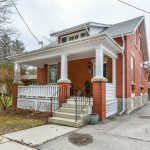 The more comprehensive year-to-date average price was $529,481, also down 0.3% on a year-over-year basis. The dollar value of all residential home sales in October 2018 was $118.5 million, decreasing by 16.7% from the same month in 2017.